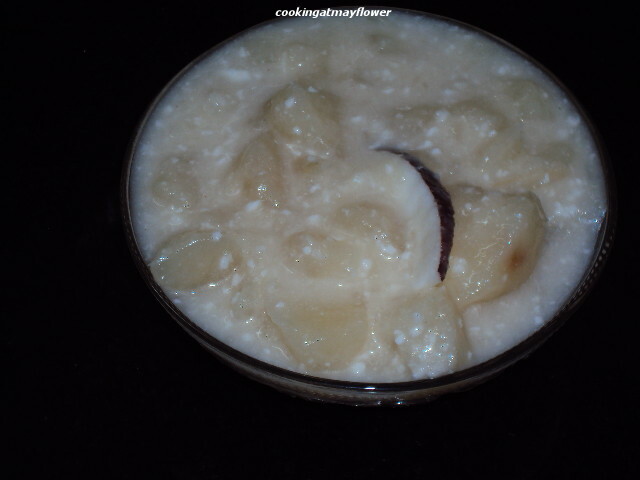 Peel, wash and clean the tapioca and cut into small pieces. Pressure cook tapioca with turmeric powder with enough water and salt. Cook for 2-3 whistles. 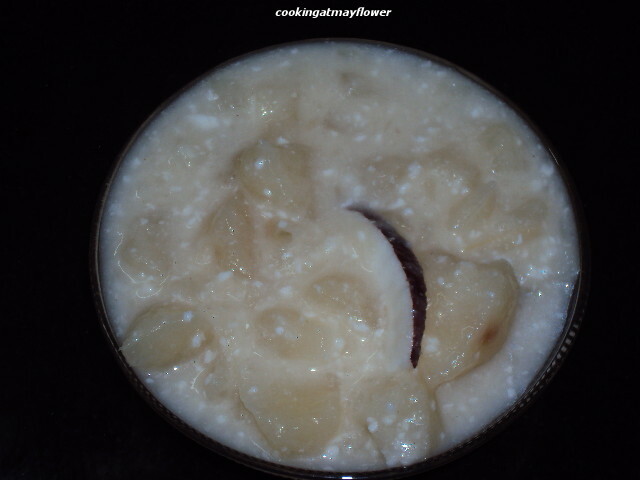 Drain water from the cooked tapioca. 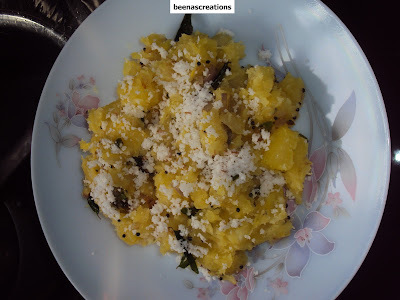 Lightly mash the tapioca with spoon. Heat coconut oil in a pan. Splutter mustard seeds. Add dried red chillies, curry leaves and shallots. When it turns light brown, add green chillies, ginger, and garlic. Now add cooked tapioca and mix well. Clean and cut fish head into pieces. Heat oil in a manchatti/pan. When oil is hot, add mustard seeds. when mustard seeds start to splutter, add curry leaves, onion, ginger, garlic, and green chillies. Saute nicely. When onion turns light brown, add tomato. Saute till tomatoes are soft. Add coriander powder, kashmiri chilli powder, turmeric powder, and fenugreek powder. If you need, you can add oil now. Add soaked cambodge along with water in which it is soaked. Add 2 cups of water or as per your requirement. Add salt. Allow it to boil for 5 minutes. Add fish head pieces. Mix well. Close with a lid and cook. In between open the lid and mix.When gravy thickens, add curry leaves. Switch off the stove. Transfer this to a serving dish. The cooking depends on how big the fish head is. For big fish heads like hamour, it takes 30 minutes. Peel, wash and clean the tapioca and cut into small pieces. pressure cook tapioca with enough water and salt . Cook for 5- 10 minutes. Drain off excess water from the cooked tapioca. Grind together grated coconut, green chillies, cumin seeds, garlic and turmeric powder with little water to get a coarse paste. Mash and mix the tapioca with the ground mixture in the cooker itself. Keep the cooker on low flame for 5 minutes. Remove from fire. Keep aside. Heat oil in a pan, splutter mustard seeds. Add pearl onions, curry leaves, and dry red chillies. Saute till the onion turns light brown. Pour this over the cooked tapioca mixture and mix well. 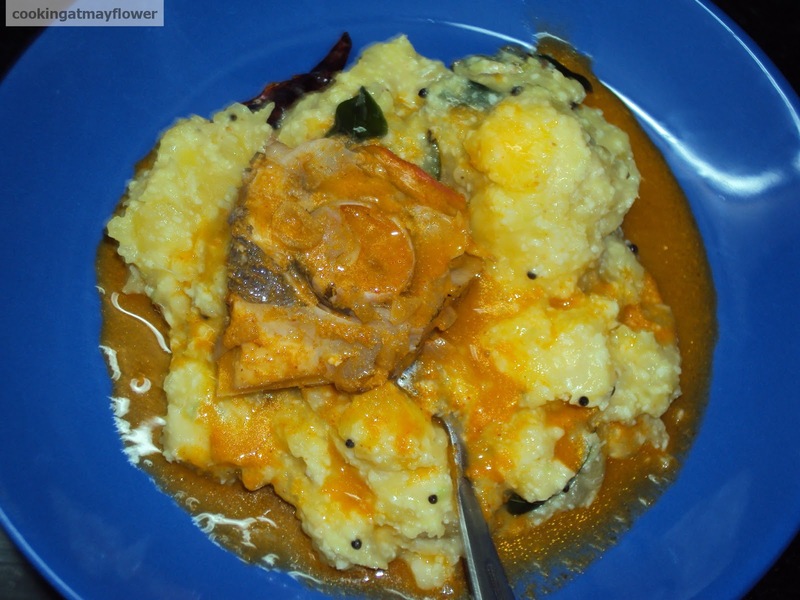 Kappa vevicchathu can be served with thengaracha meen curry, meen mulakittathu. Remove the skin of tapioca and cut into small pieces. 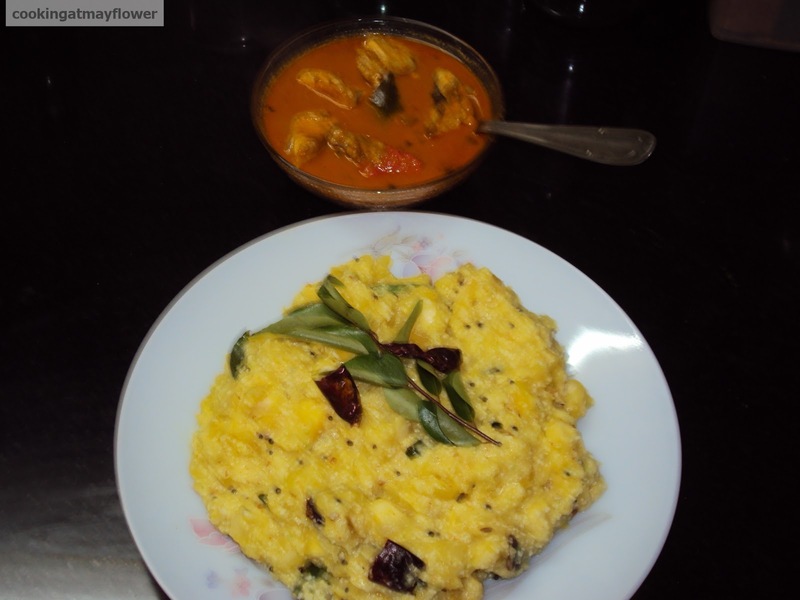 Boil the tapioca pieces along with salt and 1/4 tsp of turmeric powder until it is tender (do not allow it to overcook). Drain the water, mash gently and keep aside . Heat oil in a pan. Add mustard seeds, when they begin to pop, add urad dal. 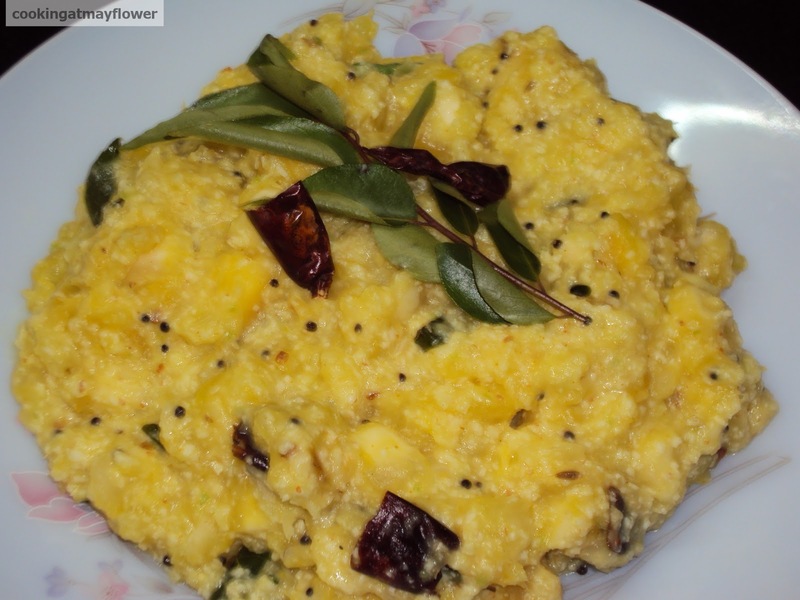 When dal turns little brown, add onion, green chillies, ginger and curry leaves. Saute for 2-3 minutes. Add cooked tapioca pieces and salt. Mix all the ingredients well. Cover with a lid and cook for 5 minutes. 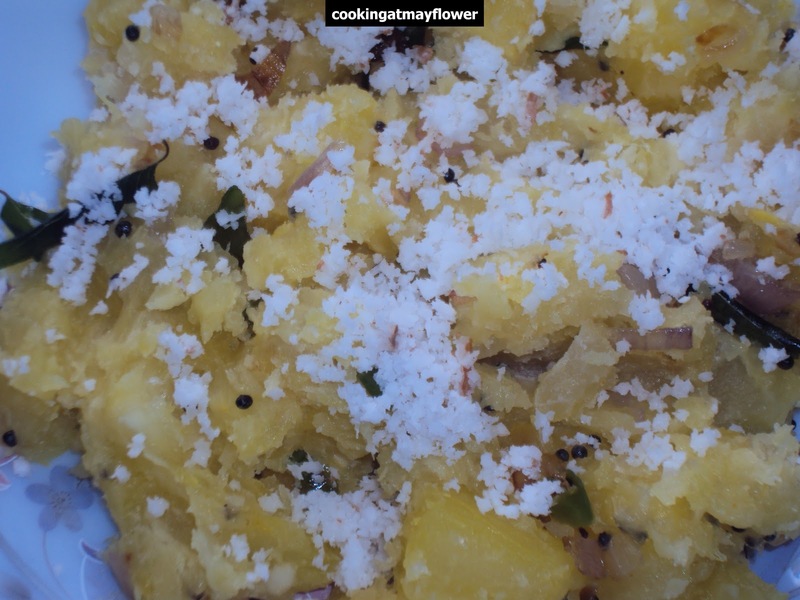 Sprinkle grated coconut and serve hot.